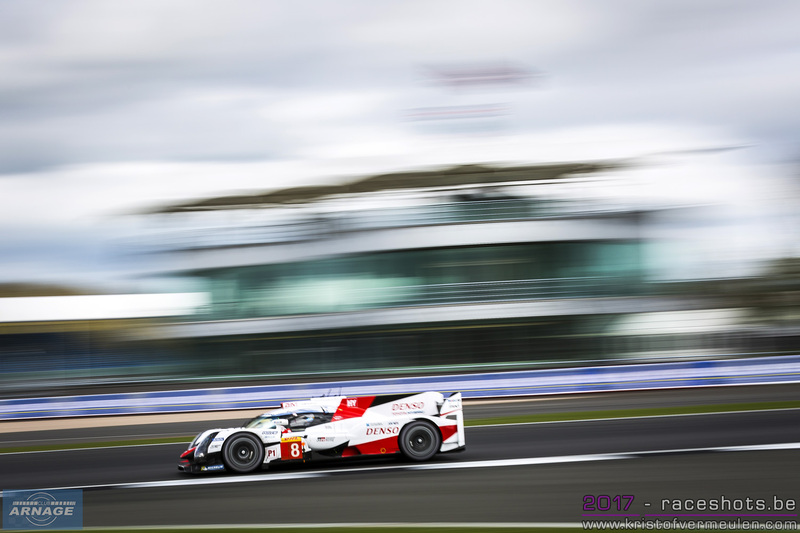 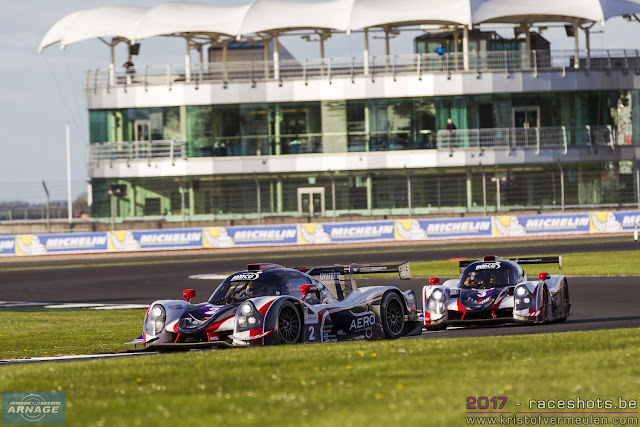 United Autosports scored a historic double last weekend at Silverstone, claiming victory in both LMP2 and LMP3 after a very entertaining 4 Hours of Silverstone. 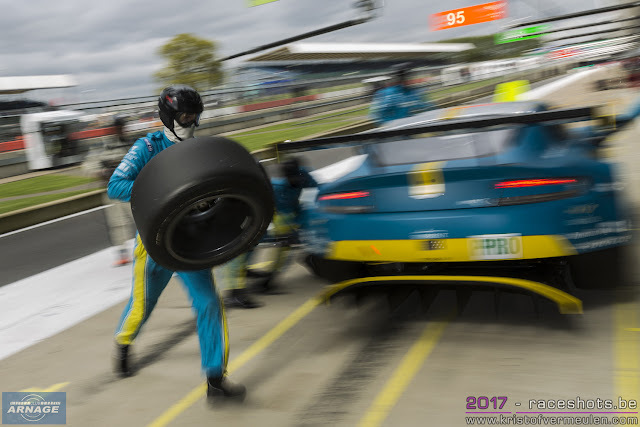 After 3 hours and 45 minutes, G-Drive seemed to have the first ELMS race of the season in the bag, until tyre wear decided to play its role. G-Drive racing was through its allocated amount of tyre sets through the weekend and could only watch how Felipe Albuquerque in the #32 United Autosports Ligier catched up with Ryo Hirakawa in the #22 Oreca. 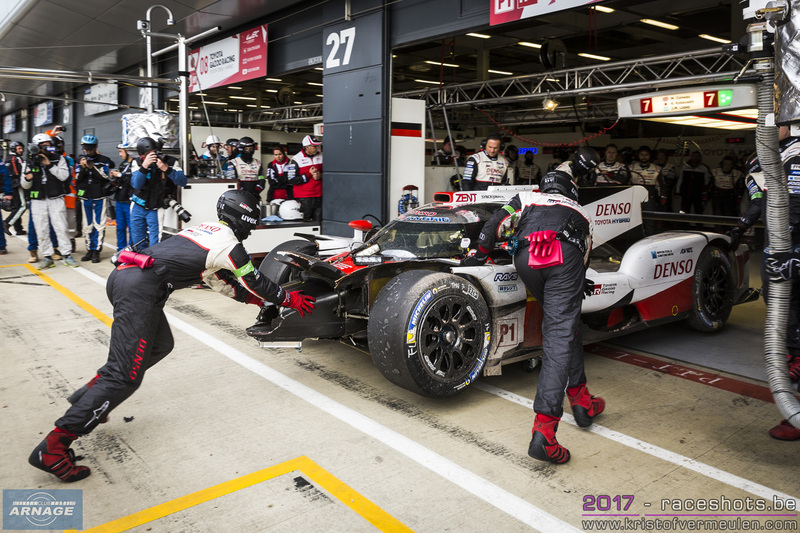 Hirakawa's radio communication also failed in the final stage of the race, leaving him almost oblivious of what went on behind him. 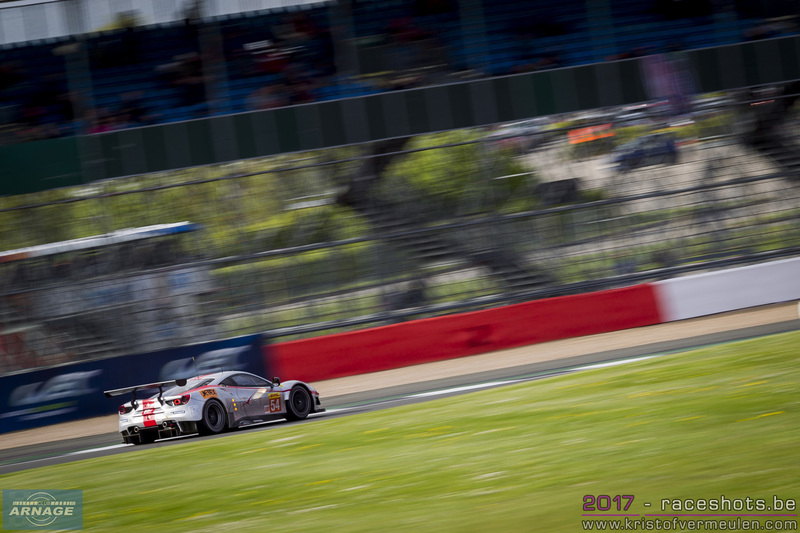 Albuquerque was flying in those final laps of the race, closed down the gap of 30 seconds and took over the lead in the penultimate lap of the race. 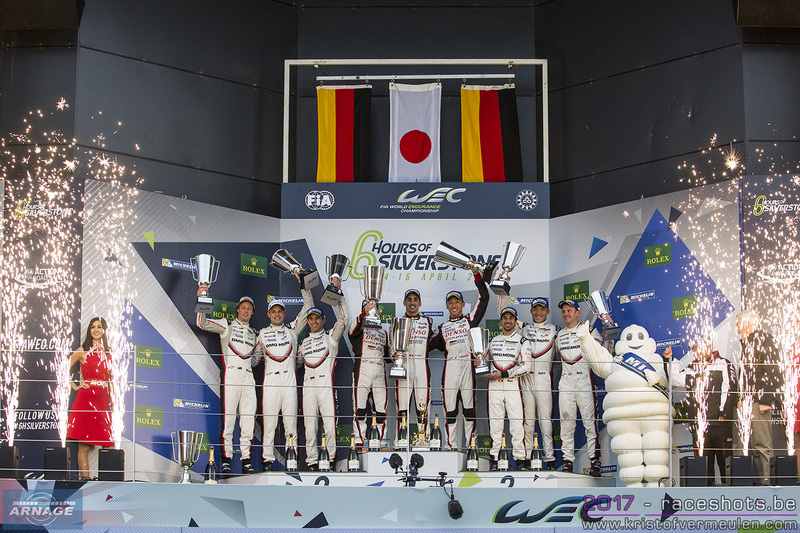 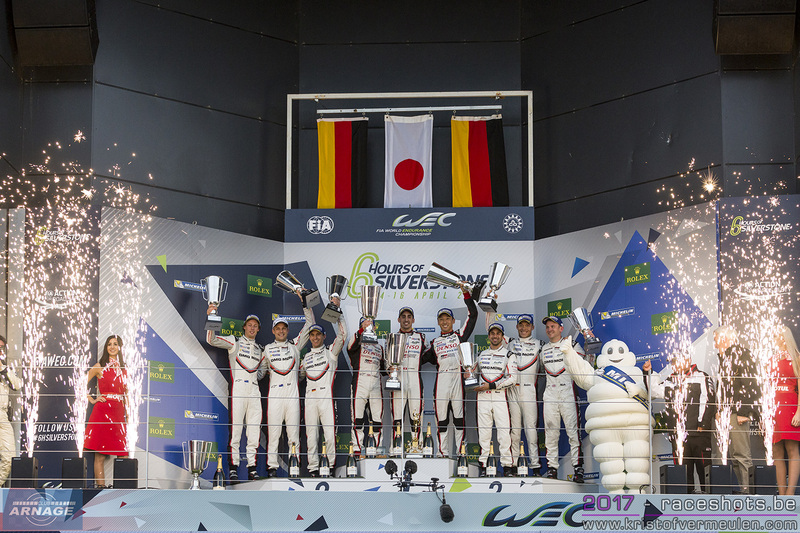 United Autosport wrote history by winning in 2 different classes: LMP2 and LMP3. 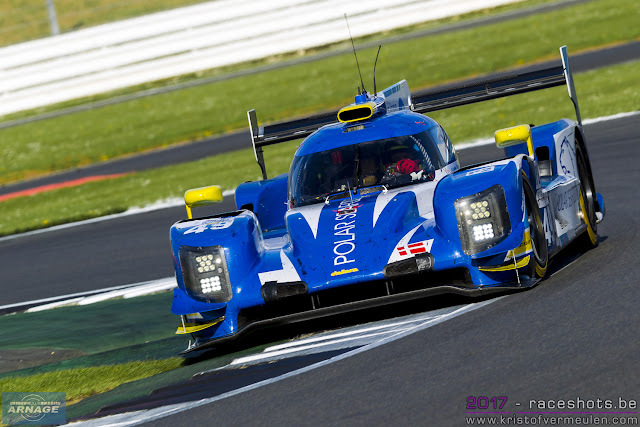 A rather surprising third was the Danish High Class Racing Dallara P217 of Anders Fjordbach & Dennis Anderson. 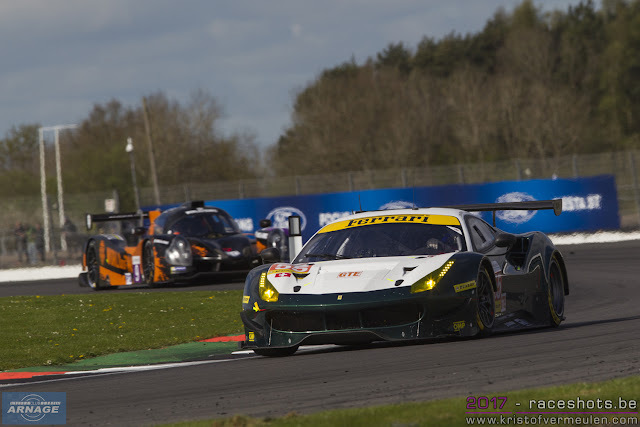 In their debut race, the Danes impressed with their pace and consistency, fighting for a well deserved podium place. 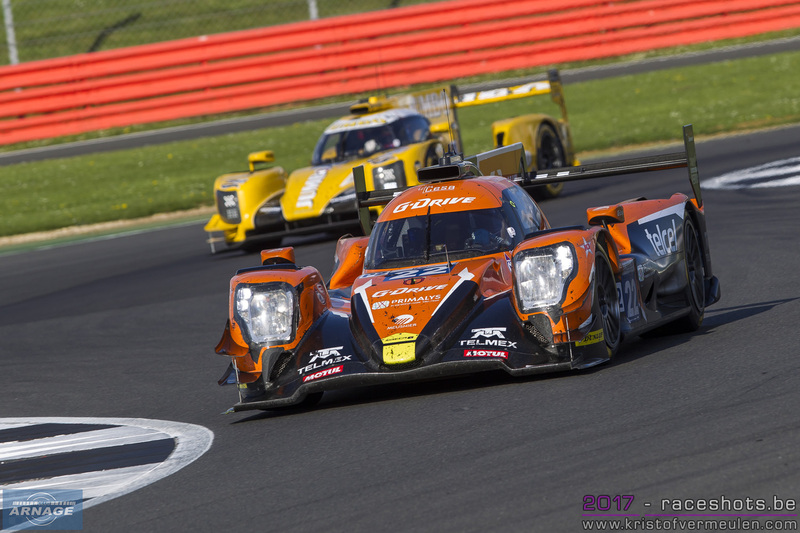 Ben Hanley had a rocket start in the #21 Dragonspeed Oreca, immediately flying away from the rest of the field. 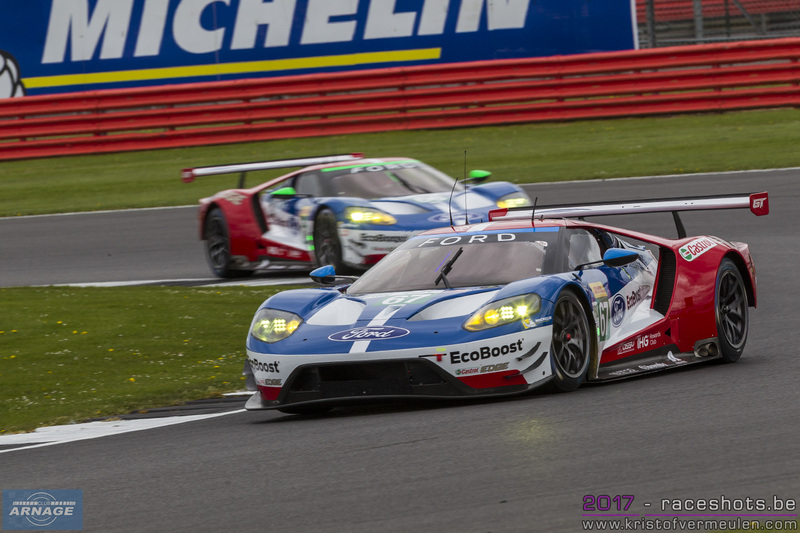 A spin by Henrik Hedman and gearbox troubles would put the American team out of contention dor the win, losing 6 laps. Behind the leaders, it was Richard Bradley putting in an impressive drive in his #40 Graff Oreca. 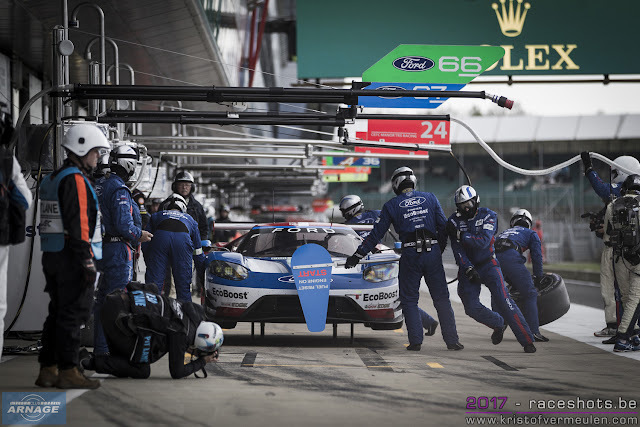 Starting from 28th place on the grid, Bradley stormed through the field and was leading the pack by the first round of pitstops. Franck Matelli would take over the wheel of the #40 but dropped down to third place after losing first place to the #25 Algarve Pro Ligier and being passed by Roussel in the G-Drive. Roussel leads the race at the half-time point, after passing Matt Mc Murray in the #25. 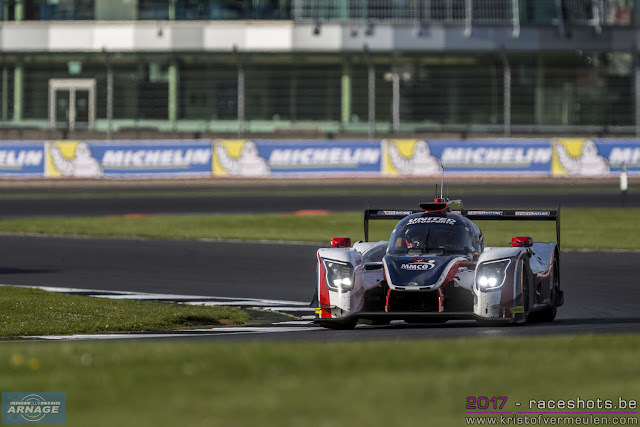 Behind the leaders, the #32 United Autosports now sits in third place, ahead of the Dragonspeed Oreca and the #47 Cetilar Villorba Corse Dallara. 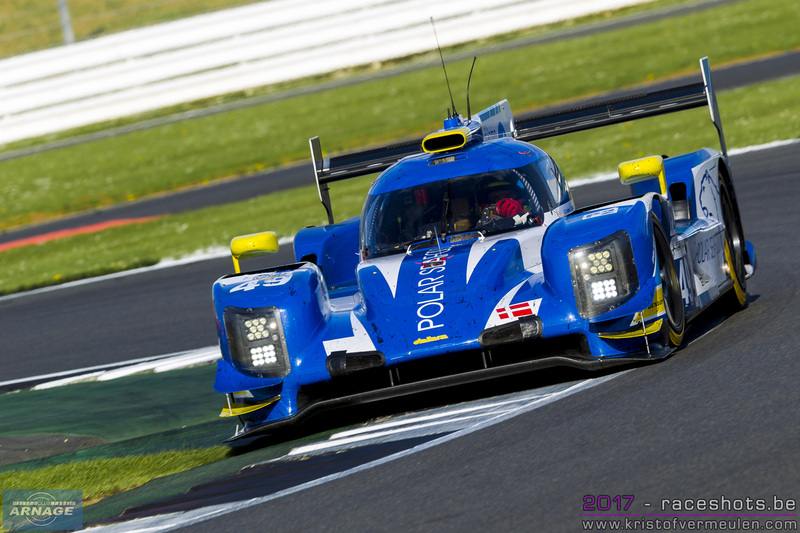 During the second round of pitstops, the #49 High Class Racing Dallara shortly led the race with Anders Fjordbach, in their ELMS debut race. 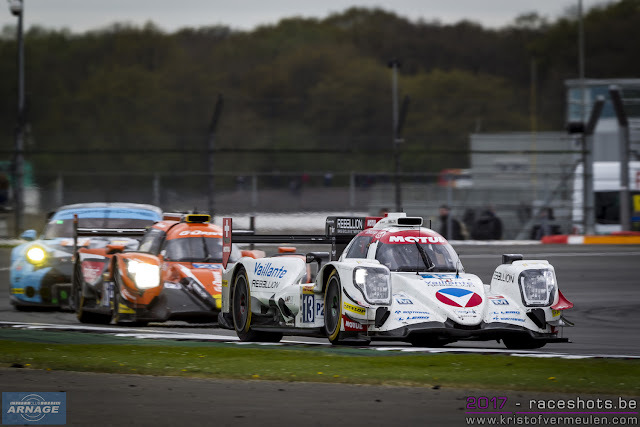 Ath the three hour mark, the race seemed to stabilize a bit, now with the #22 G-Drive Oreca in the lead, with a 30 second margin to to #32 United Autosport Ligier and the #49 High Class Racing Dallara 17 seconds further behind. 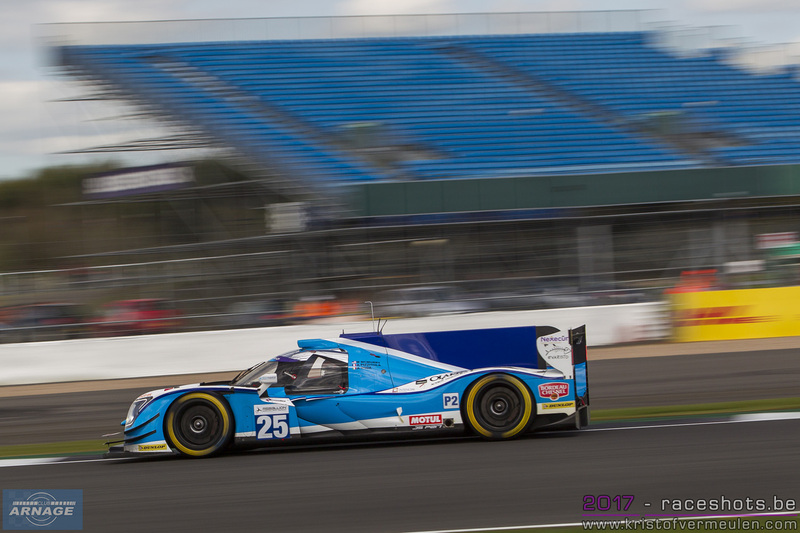 A gearbox problem also hit the Algarve Pro Racing, forcing them to park the Ligier. The Panis-Barthez Competition Ligier also fell out of contention early in the race when Nathanaël Berthon lost 3 laps in the pits due to a transponder issue. United Autosport also took victory in the LMP3 class with the #2 Ligier of Americans John Falb & Sean Rayhall. 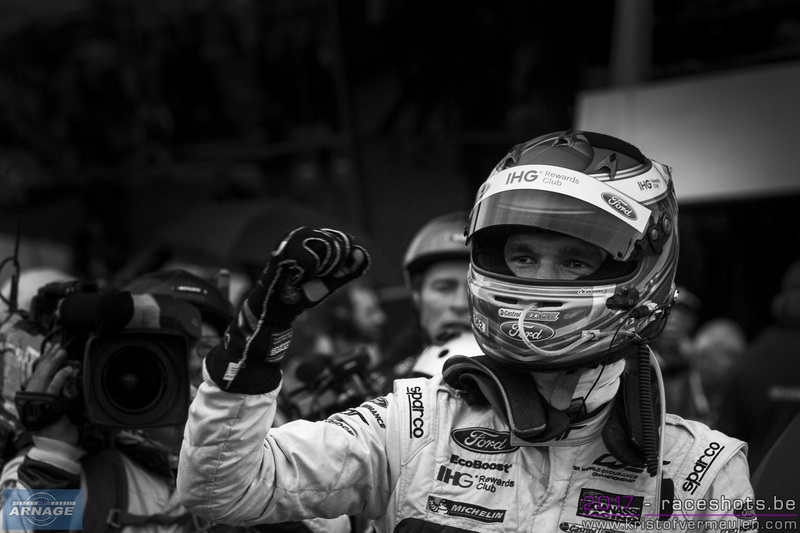 Rayhall took the lead in the first lap of the race and literally never looked back. Both United Autosport Ligier JSP3's quickly got in front of the whole field, with only the #6 360 Racing Ligier able to follow their pace. 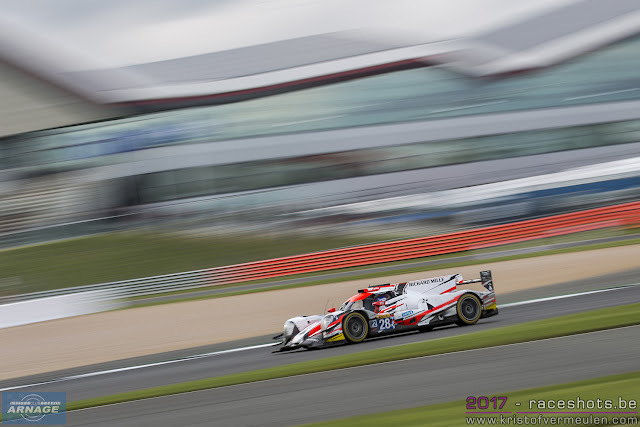 Alexander Talkanitsa Jr in the #9 AT Racing Ligier, who started from pole dropped to fourth place after the first round. The second United Autosport Ligier seemed settled for second, but fell back a bit by the end of the race, down to fourth. 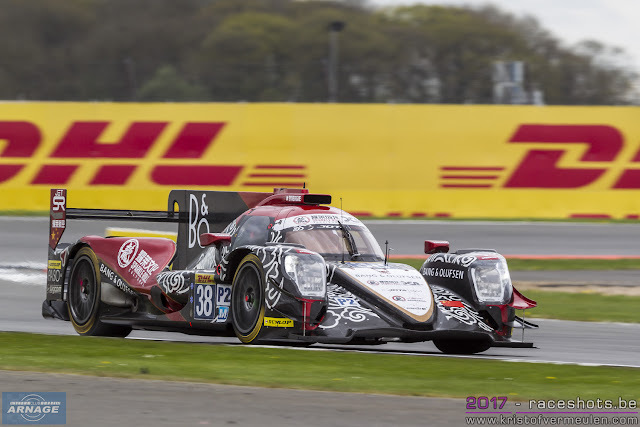 Second crossing the line after four hours was the #6 360 Racing Ligier after a steady and faultless race, but on a respectable distance from the winners. After the race however, the team was handed a 1 lap penalty for not respecting the minimal driving time by their bronze driver Anthony Wells. 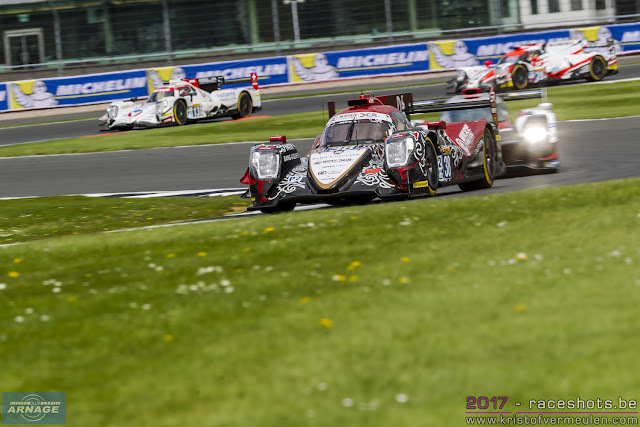 The penalty left them seventh overall and promoted the #17 Ultimate Ligier to the second spot of the podium, followed by the second United Autosport Ligier and the M. Racing YMR Ligier. 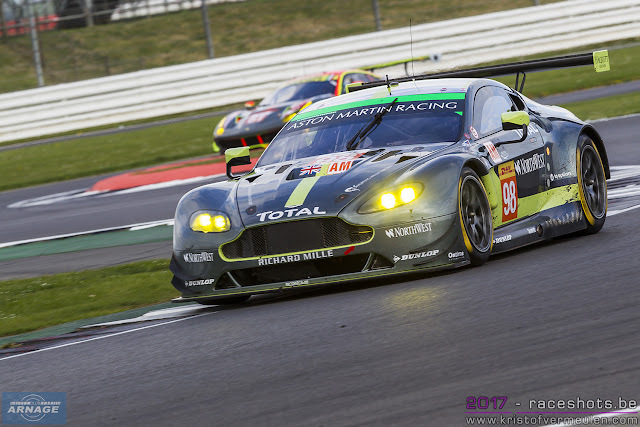 TF Sport steered their Aston Martin Vantage V8 to victory in the GTE class. 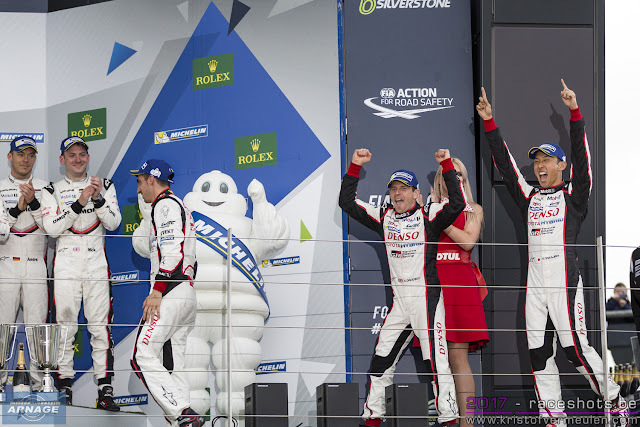 First race for the new team in the European Le Mans Series, first victory. After winning the Michelin Le Mans Cup last year, TF Sports new season couldn't have a better start. Salih Yulok took the start from pole in the #90 Aston Martin, but soon dropped into second hen Aaron Scott put in a ballsy move to the lead, overtaking both Aston Martins in his #55 Spirit of Race Ferrari. A few laps later, the Beechdean Aston had a spin after contact with another car, dropping down to the back of the field. 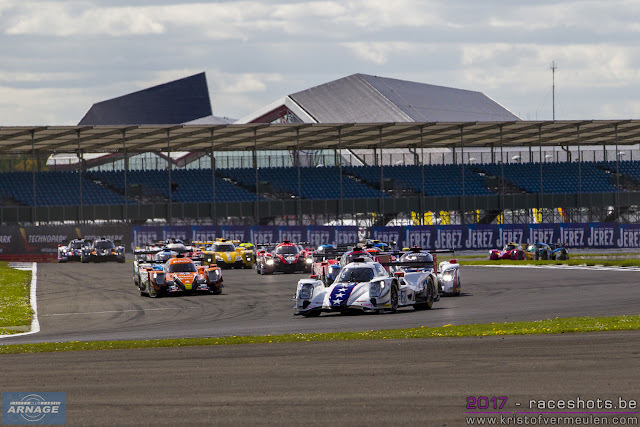 Euan Hankey took over the #90 at the first round of pitstops, went back into the lead and started to build up a gap to the competition. Things looked worse however when contact with the #51 Ferrari resulted in a spin and losing the lead in the race. 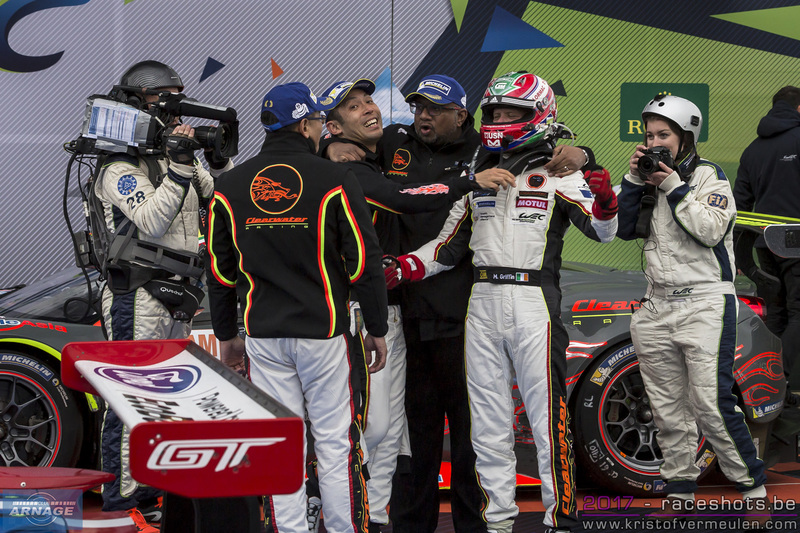 Joel Camathias now took the lead in the #77 Proton Porsche, followed by the surprisingly fast #66 JMW Ferrari F458. Duncan Cameron fell back to third in the #55 Ferrari after their strong start. 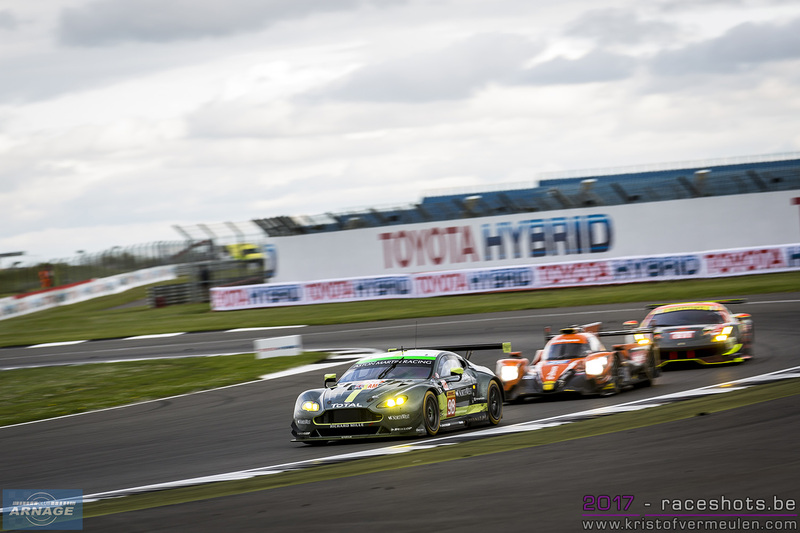 Nicki Thiim took over the leading Aston Martin at the second pitstop and quickly got settled in a comfortable lead over the Porsche. 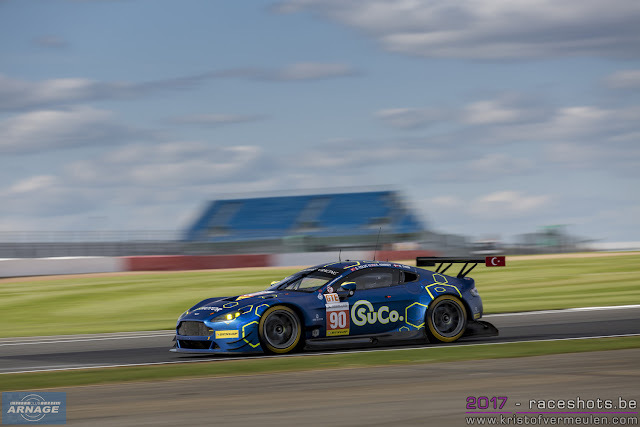 Behind both leaders, Ross Gunn & Darren Turner were hammering down their Beechdean Aston Martin, getting back on a podium spot after overtaking the #66 and #55 Ferrari's. 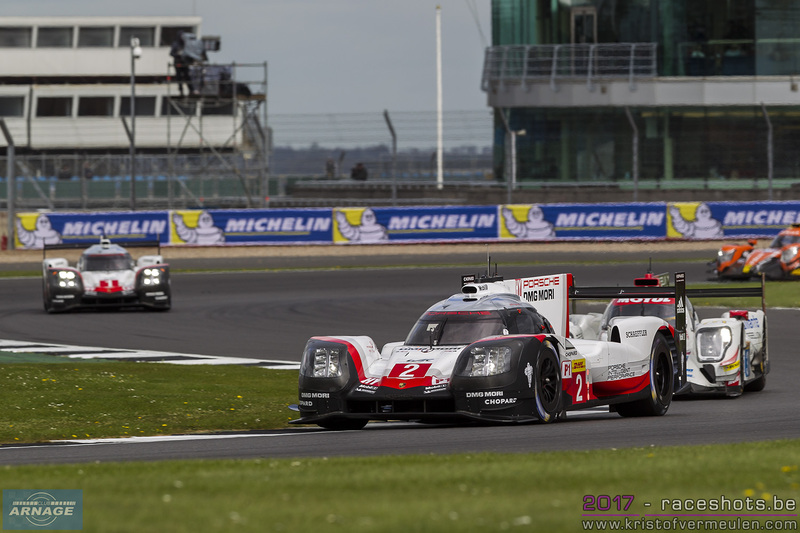 The third hour of the race was quite uneventful, with most cars and drivers settling for their spot in the race. At the final round of pitstops, Hankey had built up a lead of + 50 seconds, handing the car back over to Nicki Thiim. Behind him Matteo Cairoli got into the Proton Porsche, who now had Ross Gunn behind him in the second Aston Martin. After 4 hours Nicki Thiim crossed the line with a one lap lead over Matteo Cairoli. 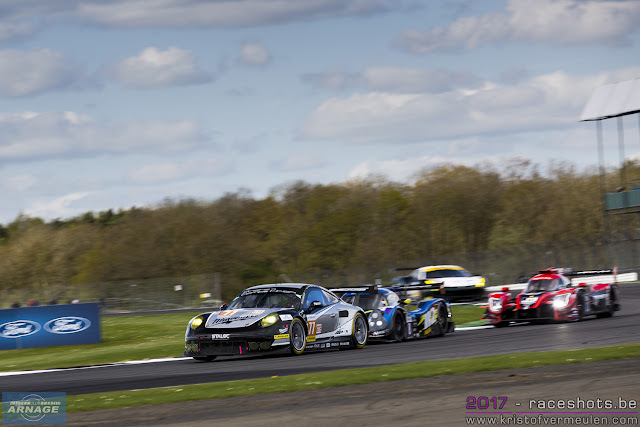 The young Italian drove his his #77 Proton Competition Porsche to second place, just over a second ahead of Ross Gunn in the charging #99 Beechdean Aston Martin. After a thrilling & exciting race, the #8 Toyota of Sebastien Buemi crossed the finish line first, only to recover the lead back in the final 15 minutes of the race. Race start was in hazy sunshine at 12 noon, but the rain would be a factor in the race as it came and went all afternoon. 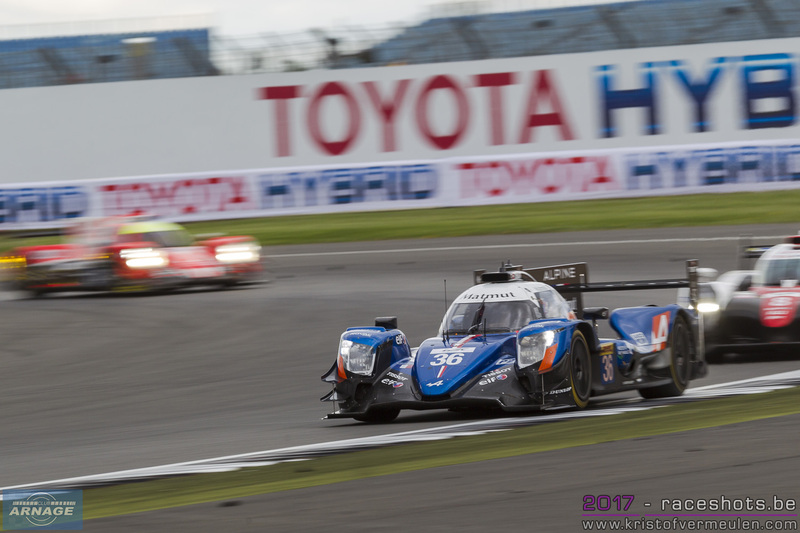 Conway retained the lead from pole in the #7 Toyota. 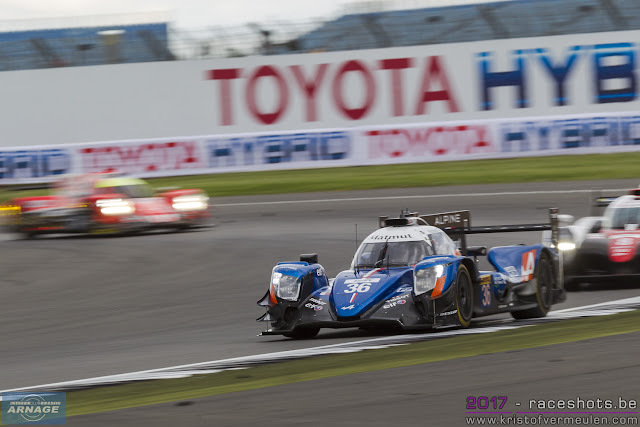 In the #26 G-drive Lynn slipped to 3rd from LMP2 pole, behind #36 and #31. 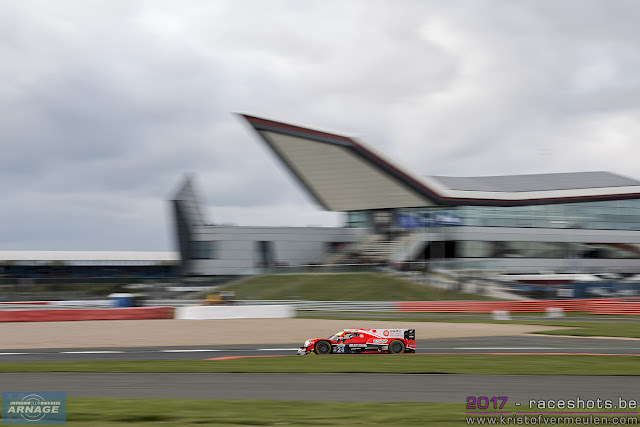 After 10 minutes Buemi passed Conway to put #8 into lead but Conway managed to post the fastest lap on lap 4 (1:39.656) In the two Fords GTs Priaulx and Mucke were in charge of GTE Pro from front row. Spirit of race #54 Ferrari led the #98 Aston Martin in GTE Am. 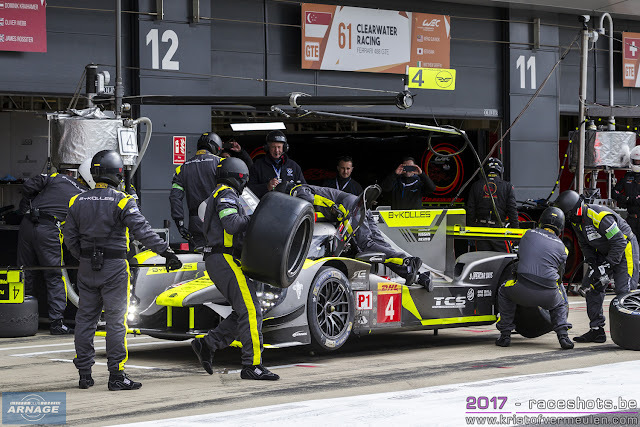 More woes for the ByKolles CLM #4 which was wheeled into its garage after only 15 minutes of racing with brake problems. The 2 Fords were side by side then Priaulx was passed by team mate followed by Mako in Porsche #91. 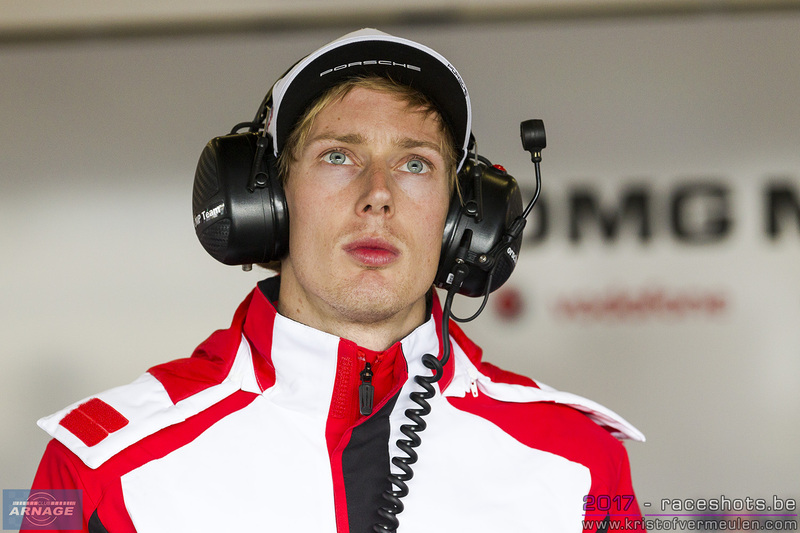 Problems for #67 relegated him swiftly down the order. 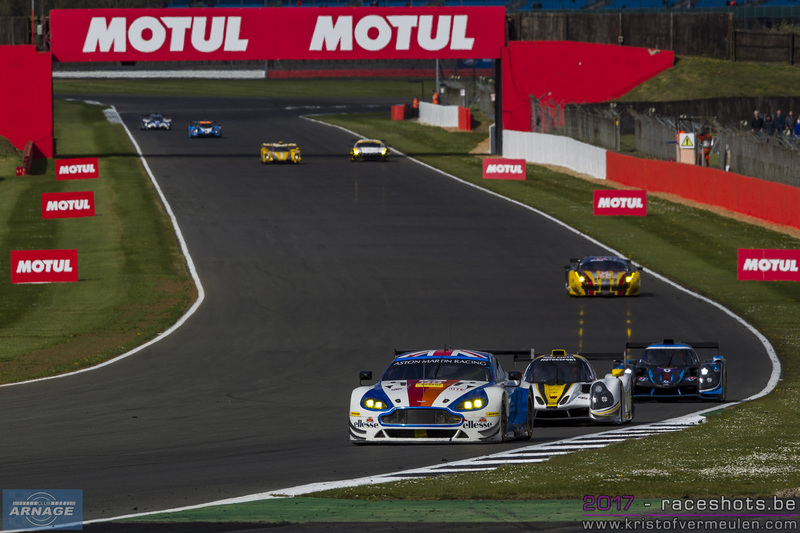 Lamy took GTE Am lead at 12:35 in Aston Martin #98 passing Castellacci in #54 Ferrari at Luffield. 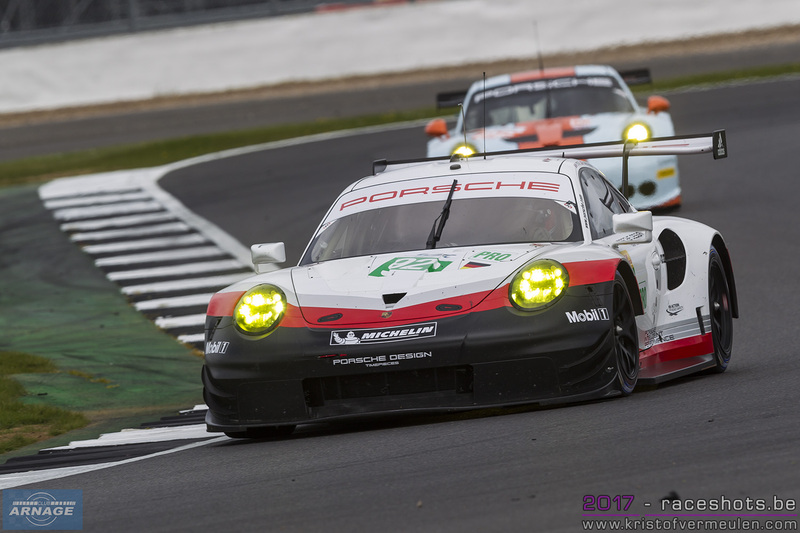 Mako passed the Ford #66 to put Porsche #91 into lead of GTE Pro. 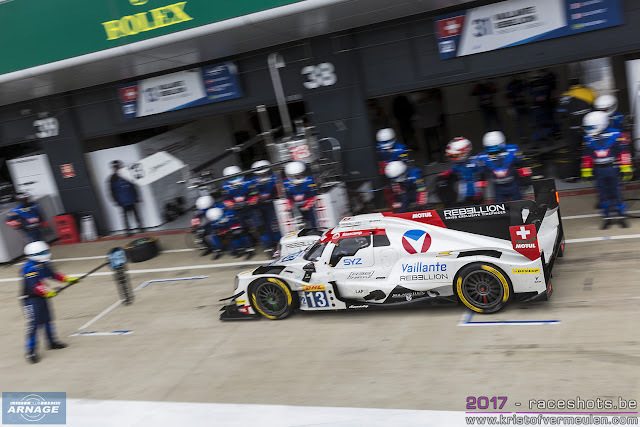 Both Toyotas were first of LMP1-H cars to do scheduled stop at 12:46. 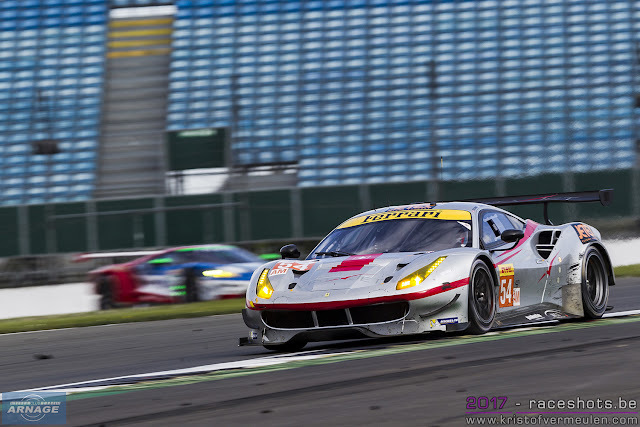 There was minor contact between Calado in the #51 Ferrari and Christensen in the #92 Porsche. 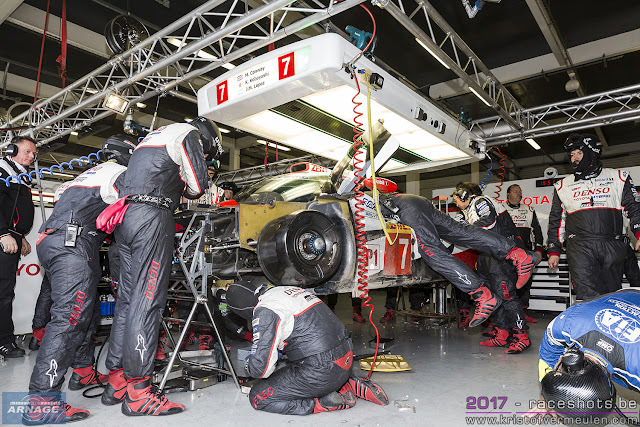 There was a problem with the door of the #26 G-Drive that required replacement of the entire door at the car's next scheduled stop. Conway in Toyota #7 retook the lead from Buemi in #8 at 13:10 but #8 won a track limits warning at 13:21. 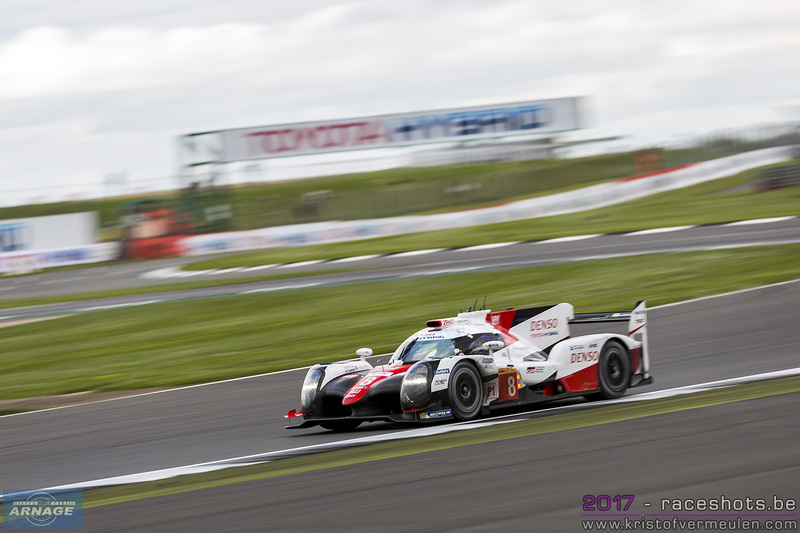 There was a big wiggle for Buemi in Toyota #8 as he braked very late for the pit lane speed limit. Davidson took over the car at 13:36. 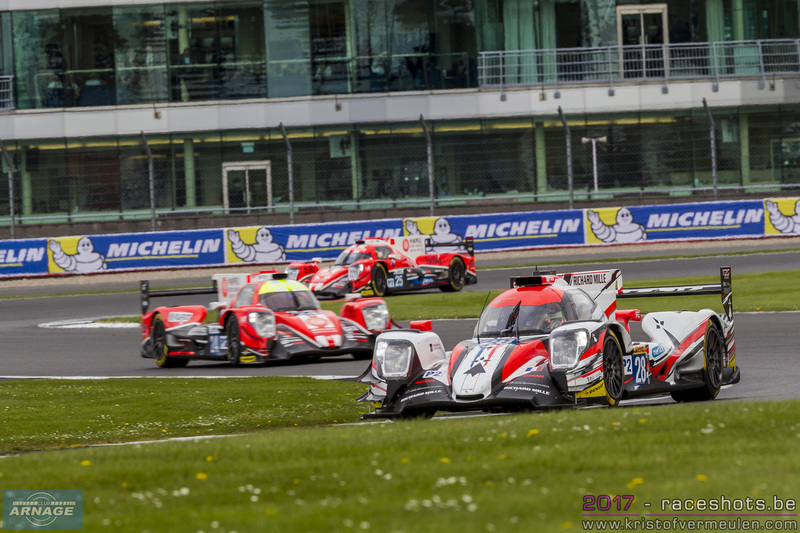 Manor (Hirschi) #24 and Vaillante Rebellion (Heinemeiner Hansson) #13 made contact at The Loop - #13 the loser in that battle - the incident won #13 a 15s penalty. 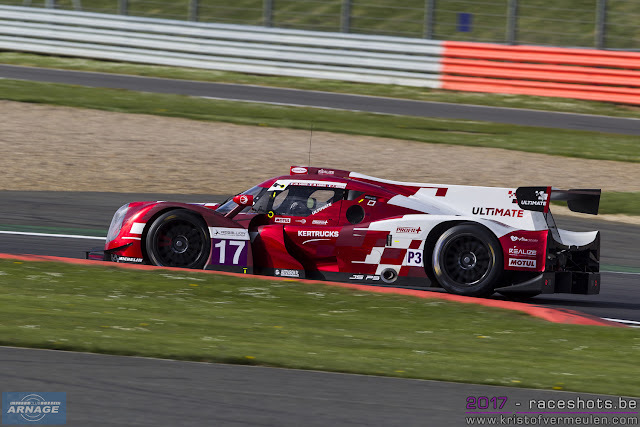 Problems for #7 Toyota were reported and Kobayashi slipped to 4th at 13:50. 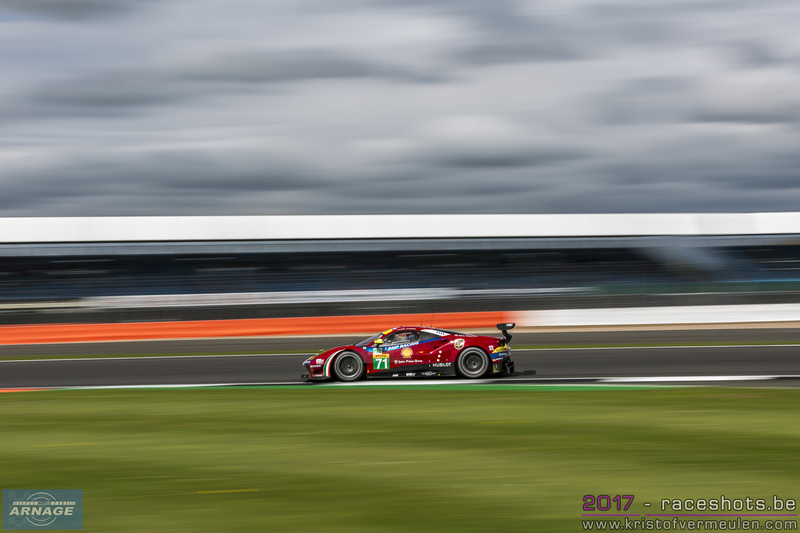 There were sprinkles of rain on and off at that time but nothing serious. Bernhard in #2 Porsche was catching Davidson in Toyota #8 only 3.5s ahead at 14:10. Estre in Porsche #92 took 3rd in GTE Pro at 14:19. Rear roll bar was reported as the problem afflicting the #7 Toyota and there was new bodywork for #7 at regular stop at 14:30. 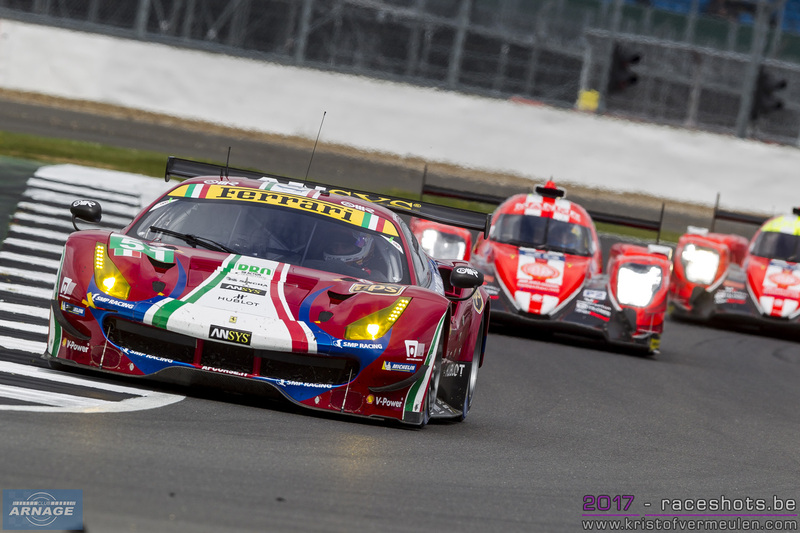 Kobayashi had a trip to gravel in #7 on a damp track. 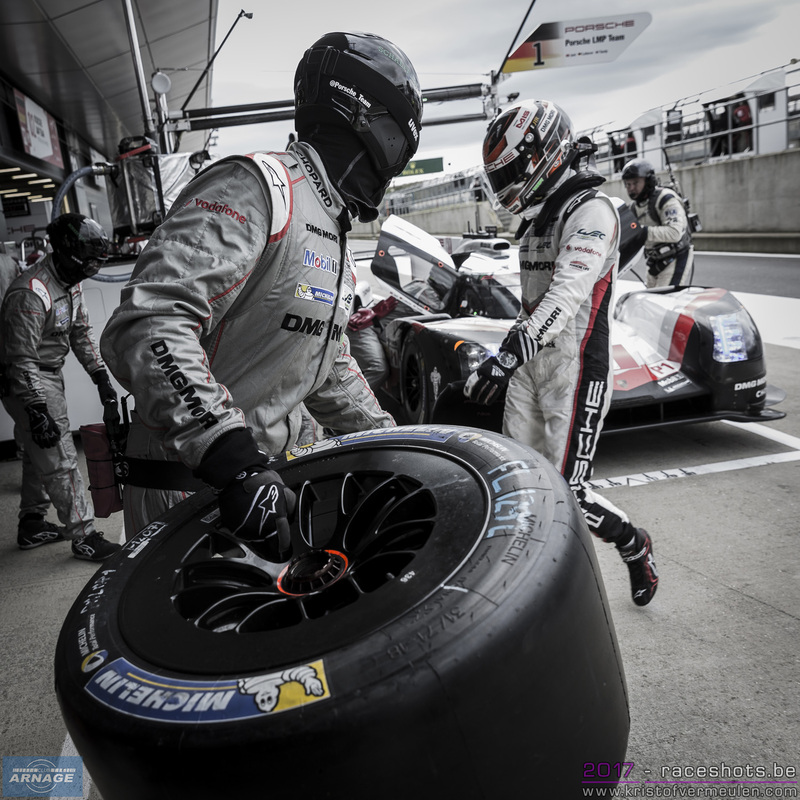 Porsche #1 made an unscheduled stop to change tyres at 14:37 and leading #2 Porsche was fortunate to put on intermediates at exactly the right moment. #8 Toyota was back into lead after more tyre stops for Porsche. 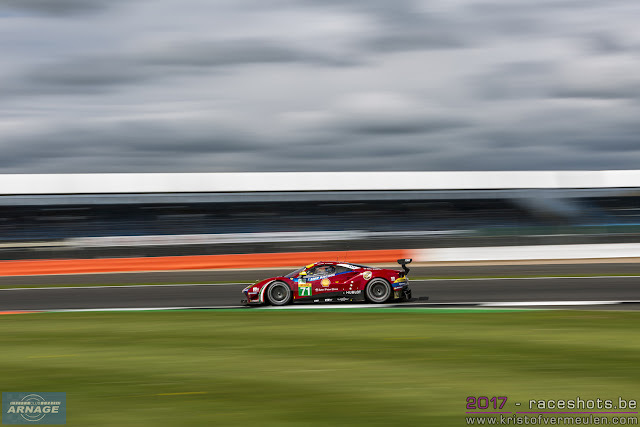 The damp caught out Dala Lana who had a spin at Vale in leading GTE Am #98 at 15:15. There was a Fire for the #92 Porsche which stopped at Luffield at 15:20 bringing about a brief full course yellow. 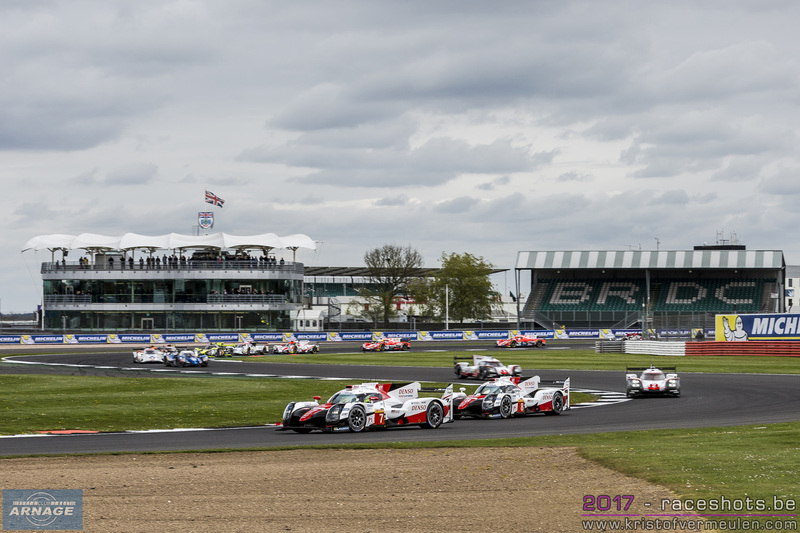 Lopez was another driver caught out by rain at Copse and put #7 Toyota hard into the tyres at 15:30 bringing about another FCY. 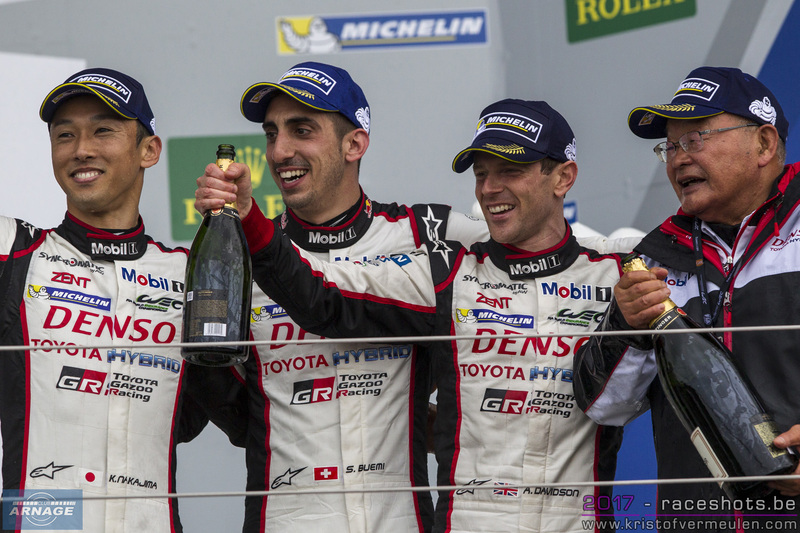 Lopez seemed determined to get himself out of the gravel despite the heavy damage to the nose of the Toyota. Finally craned onto tarmac and crept back to the circuit for a long drive back to pit lane dropping debris around the track. 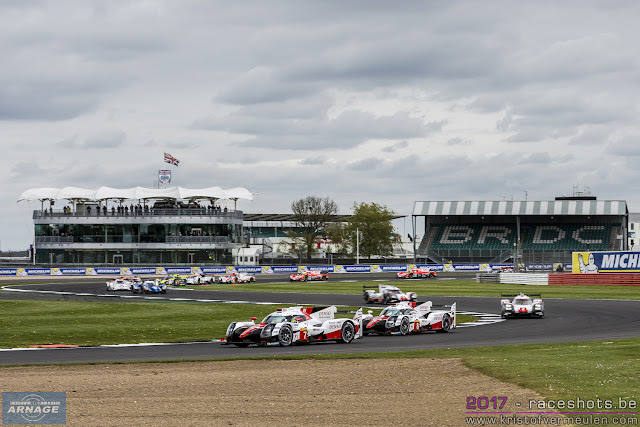 The FCY turned into a Safety Car situation while the track was cleared of debris and the barriers repaired. 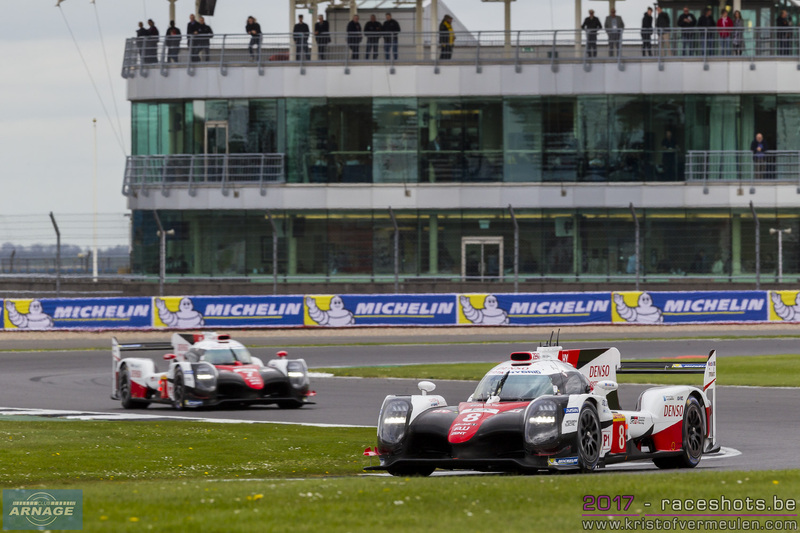 Lots of cars were pinged for speeding under the FCY / SC period including class leaders. The #7 Toyota that Lopez managed to limp back to the pits finally made it back onto the track at 16:50 with Conway at the wheel. 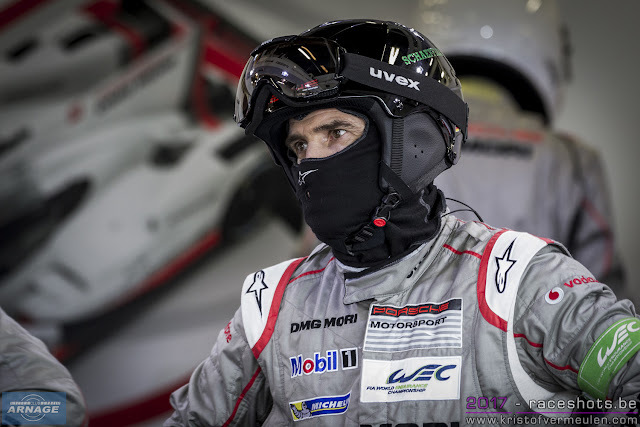 Lopez was taken to hospital for precautionary tests but appeared to be unharmed. 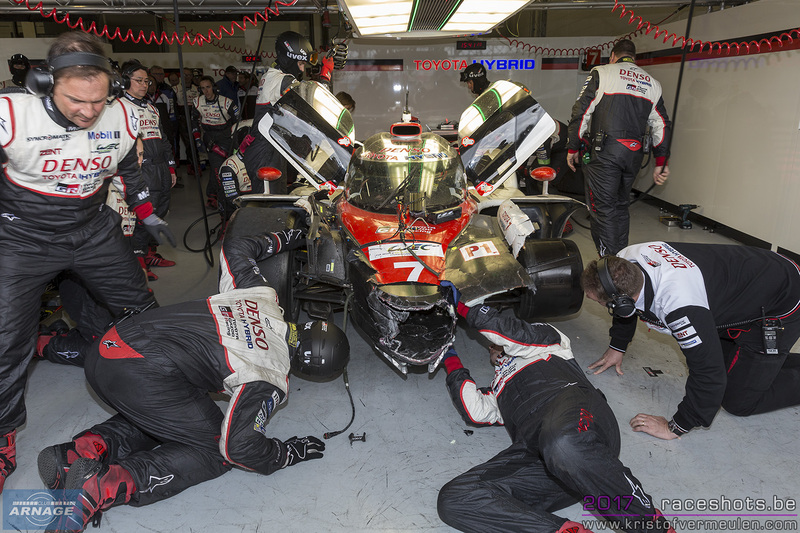 Once repaired, the #7 seemed to be more on the pace than when it was carrying the roll bar handling problem. 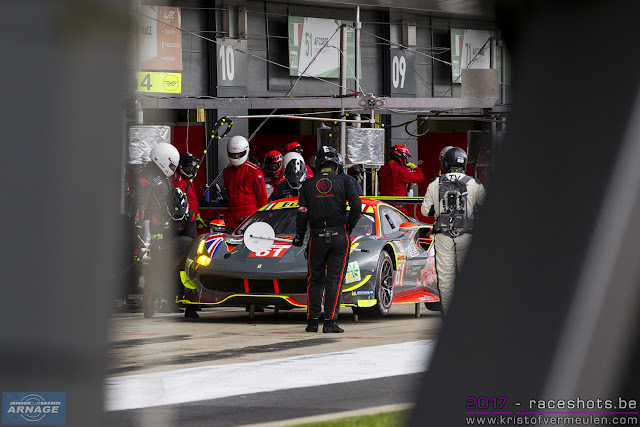 At 17:15 there was a bizarre incident when Rossiter in the ByKolles #4 ENSO CLM collided with Adam in the #97 Aston on pit entry. 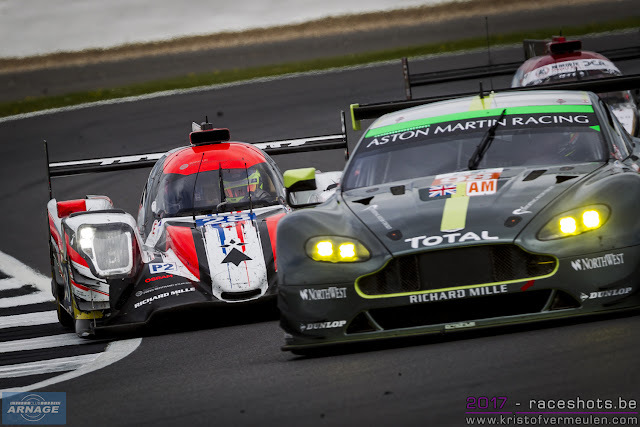 The #4 was the loser in that contact and was retired, while #97 rejoined. 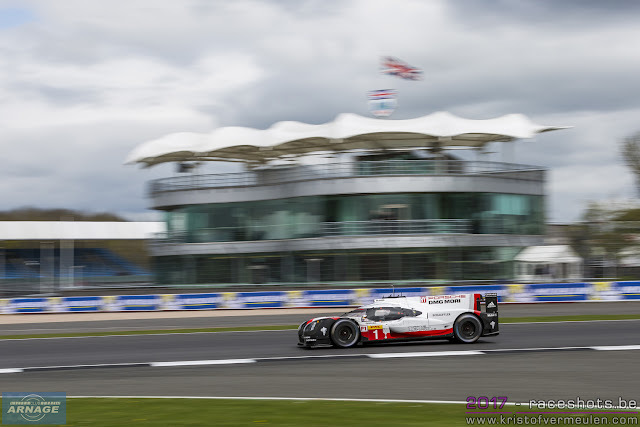 With 30 minutes remaining Hartley was leading in the #2 Porsche 919 but had to make his last stop for a splash before the flag. 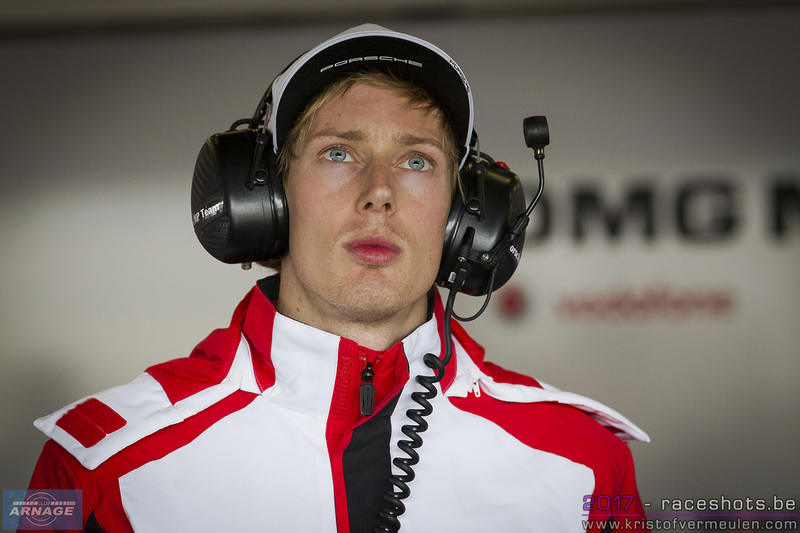 He emerged from pit lane just 8.9s ahead of Buemi in the #8 Toyota. 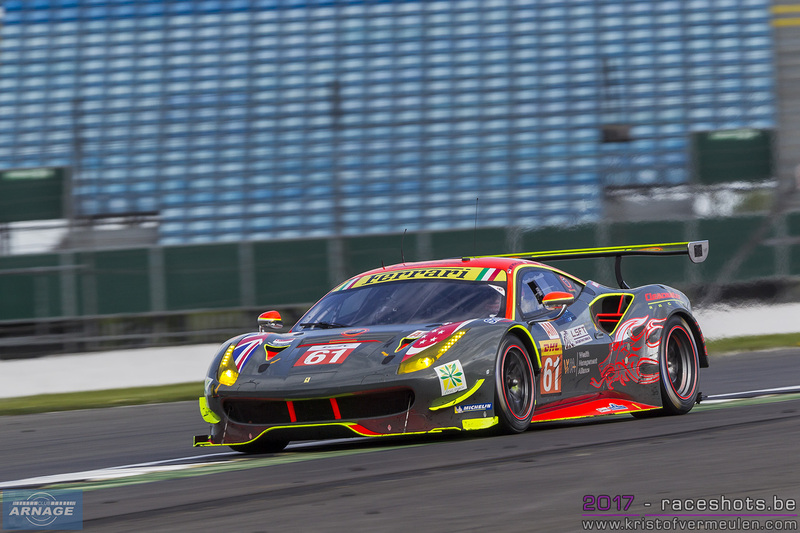 There was a tense last half hour in GTE Am also with a battle between Griffin in the #61 Ferrari and Lamy in the #98 Aston Martin. 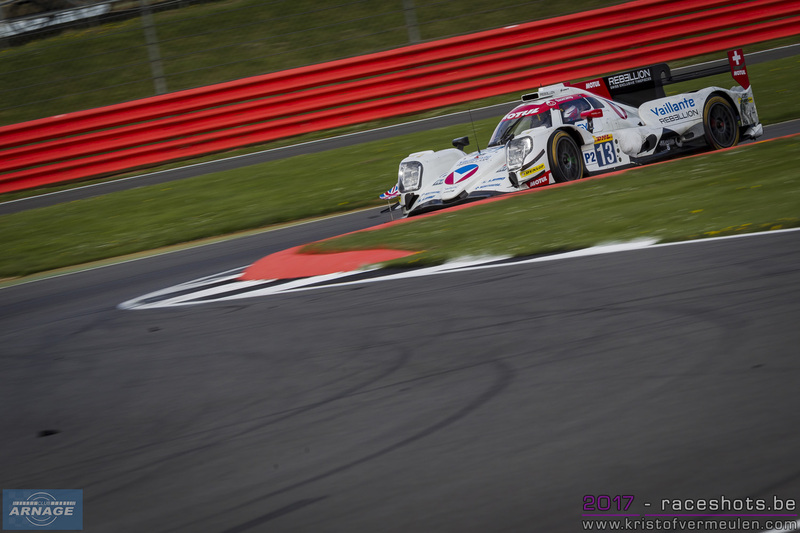 Griffin finally made the pass at Copse and pulled out a couple of car lengths on Lamy. With 20 minutes until the chequered flag the gap between Hartley and Buemi was down to 3.9s and was whittled down to less than a second just as rain started with 15 minutes remaining. 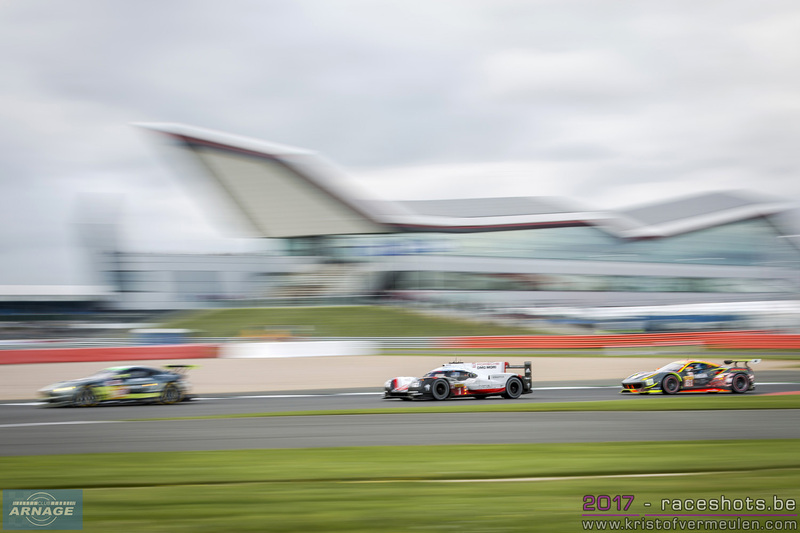 Buemi finally (inevitably) made his way past the Porsche #2 in The Loop with 12 minutes remaining and was uncatchable until the finish. 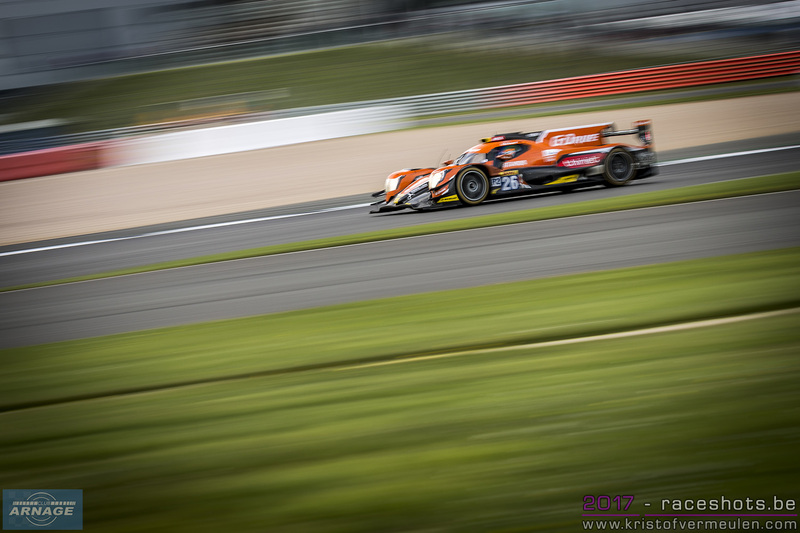 In LMP2 Jackie Chan DC Racing won the race with the #38 Oreca of Oliver Jarvis, Ho-Pin Tung and Thomas Laurent. Nico Prost, Bruno Senna & Julien Canal came home second in the #13 Rebellion, ahead of the #28 TDS Racing who took the third podium spot. 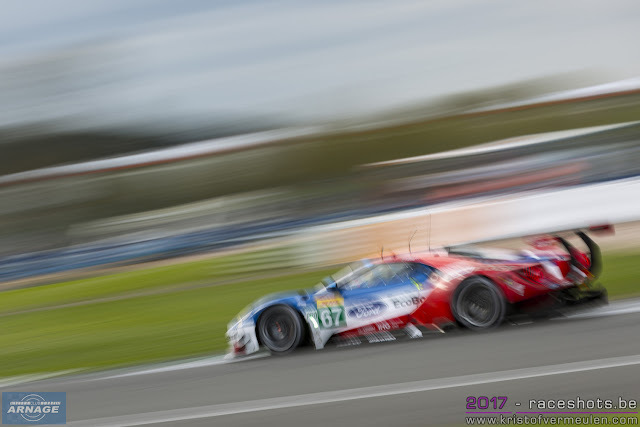 First LMP2 race and immediately first podium for last year's LM GTE Am champions Emmanuel Collard & François Perrodo joined by Matthieu Vaxiviere. 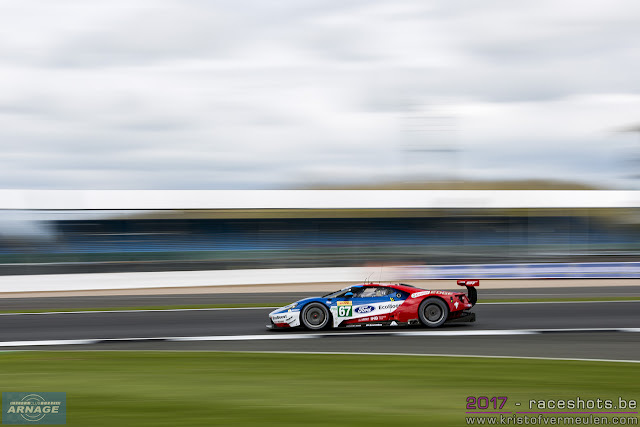 In the final minutes the #67 Ford GT was leading GTE Pro but had a reappearance of a door problem they had early in the race but made it home to the class win. 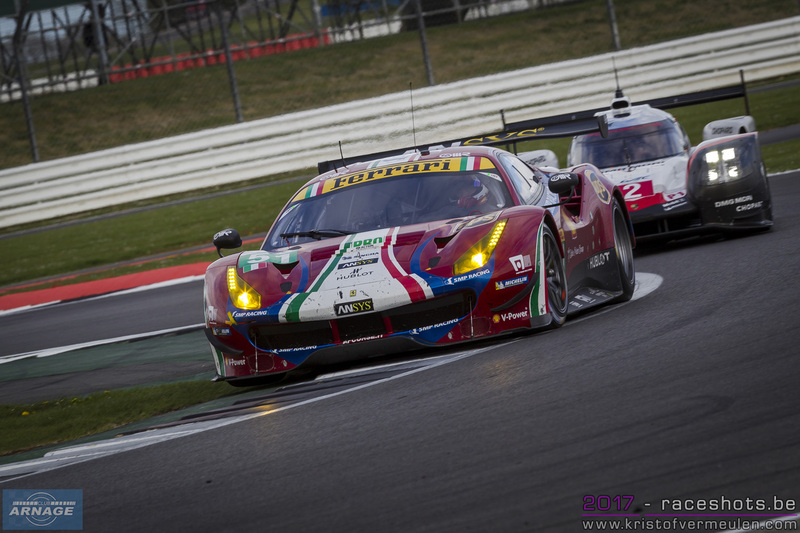 Griffin in the Ferrari #61 slipped to 3rd behind the #54 Ferrari. 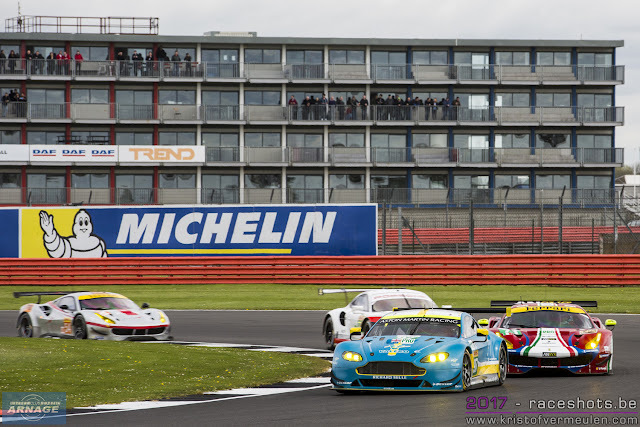 Barker in the Gulf Racing Porsche #86 came out for the last lap after a 45 minute stop. Lamy in #98 and Molina in #54 had last lap contact at Stowe leaving #98 Aston stopped just after the finish line salvaging second place and Molina in the Spirit of Race Ferrari stopped on track. 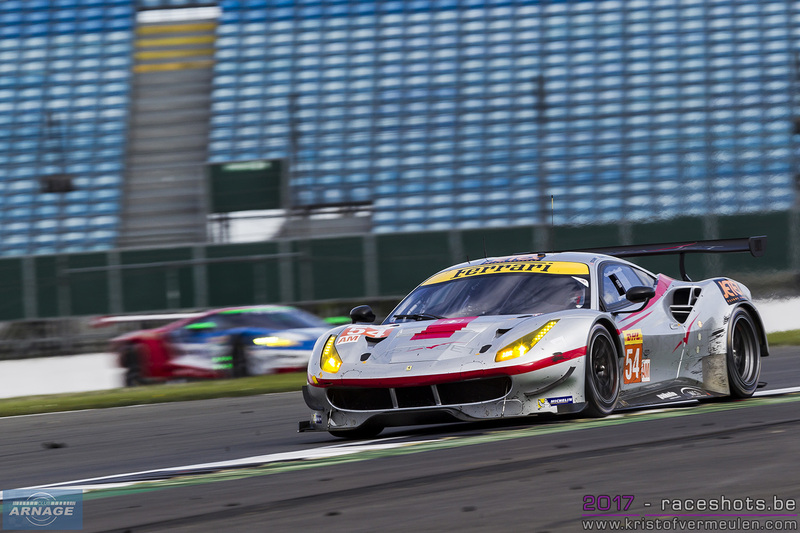 The #61 Clearwater Racing Ferrari snatched the GTE Am win with the #77 Dempsey Proton Porsche third.